Calling all Wyld Tea lovers: the much-anticipated new menu is here. Each course unfolds a tale from the colourful world of cocktails into the wonderful world of tea and scones, complete with a boozy twist, while channelling our current ethos - ‘The Modern Life of Plants’. 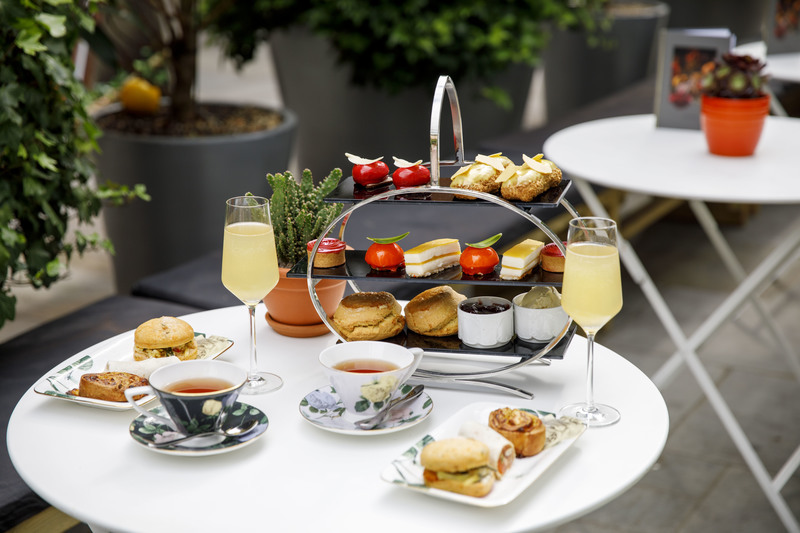 Drawing on the history of Sea Containers House, the picturesque setting along the Thames, and their love of intriguing flavours, cultures, and botanicals from around the world, Wyld Tea takes the classical format of an afternoon tea and applies a distinctive Lyan touch. 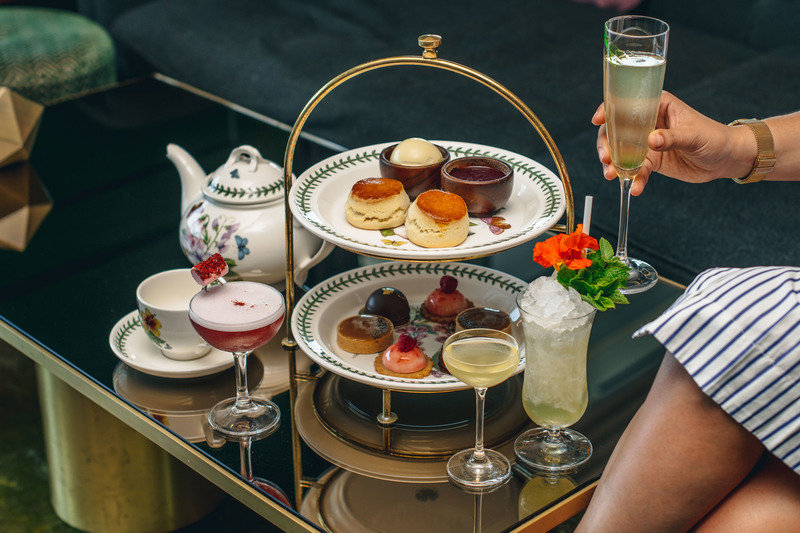 Join us in Dandelyan and sit and savour our delicious Wyld Tea, while sipping on a complimentary glass of Champagne, for the perfect way to celebrate Afternoon Tea Week. Let's get Wyld! Does Dandelyan Wyld Tea tickle your fancy? To find out more and make a booking, visit us here. This offer is available from the 13 - 19 August. It’s no secret that Britain is well-known for its love of the humble cup of tea, and it doesn’t get more indulgent, more delightfully decadent, than afternoon tea. So what better way to celebrate one of the holiest of holies than by dedicating an entire week to it? 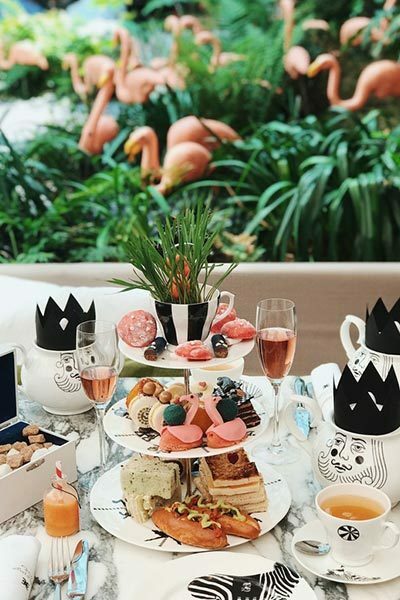 From 13 - 19 August, tumble down the rabbit hole and discover a tea party beyond your wildest imagination, with 25% off our renowned Mad Hatters Afternoon Tea. Herbivores, we've got you covered too. 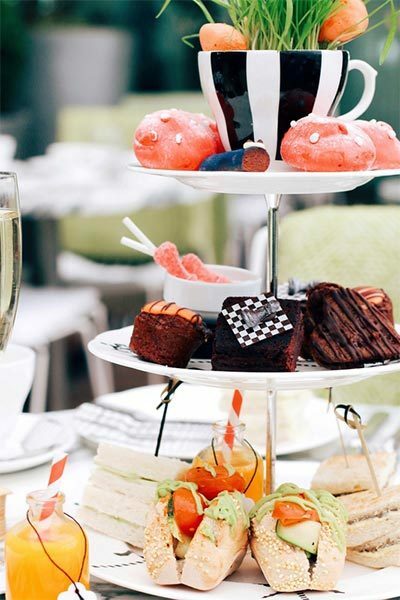 Here at Sanderson, we know that it's easier, and more delicious than ever to be a vegan, but it's not always so easy to find an afternoon tea to suit you. Until now... We want to move away from the misconception that vegan options aren't as good as “the real thing”, so, whether you're a vegetarian, flexitarian or a fully fledged vegan, we're excited to introduce our vegan afternoon tea that is every bit as delicious as it's non-vegan counterpart. Click here for a closer look at our vegan menu. There’s no excuse not to be late for this very important date. Quote AT25%. To book, please call Restaurant Reservations on 020 7300 5588 or email restaurant.resuk@sbe.com. Afternoon tea is famed for being the ultimate indulgence, and it doesn’t get much better than the way that it’s served in The Den. It’s never too early for it to be tea and cake o’clock, and throughout Afternoon Tea Week, you can revel in 25% off our renowned Afternoon Tea. We know that we can’t quite offer afternoon tea with the Queen, but this is indisputably the next best thing. Quote AT25%. Chin-chin! St Martins Lane's Afternoon Tea is served in The Den. To book please either call 020 7300 5500 or email restaurant.resuk@sbe.com. This offer is available from the 13 - 19 August.